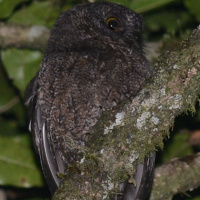 The Grand Comoro Scops Owl is a very small owl with barely visible ear-tufts. 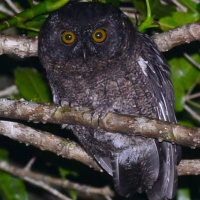 It is also known as the Karthala Scops Owl. Typical call - Mvouni, Grande Comore. August 2012. CC Charles Davies. 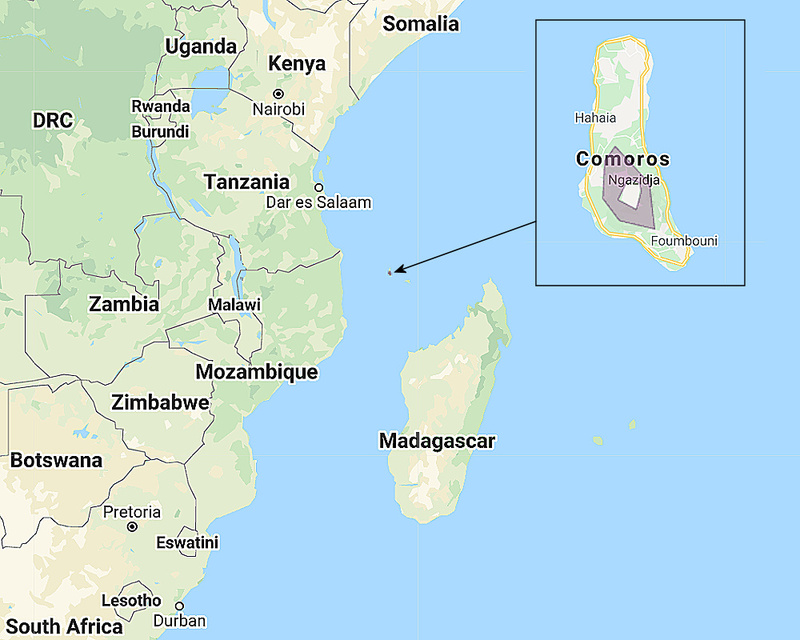 Distribution: Endemic to the Island of Grande Comore, northwest of Madagascar, where it is restricted to Mount Karthala. Status: Listed as Critical by BirdLife International. Original Description: Benson, Constantine Walter. 1960. Ibis 103B, p. 60-66. Page by Deane Lewis. Last updated 2015-09-22.